Over the past 10 years, The Apprentice Academy have placed over 1000 school and college leavers with employers offering great apprenticeship opportunities within Greater Manchester. But for us, it’s not all about numbers! We love to hear about success stories, and discover just how much impact an apprentice can have within a business. Brother are one of many well-known, high profile companies that have partnered with us over the last few years to recruit and train their young talent. They offer great support and prospects for their apprentices, many of who are now in management or specialist positions. This year, the technology company have hired two more business administration apprentices via our Future Talent programme and they have been doing really well! Lewis is one of the business administration apprentices at Brother. Within his first three months, he is already demonstrating key skills that the apprenticeship is designed to develop and has made a fantastic impression on the management at the company. He is growing in confidence, taking responsibility and always looking to better himself. Lewis represents what apprenticeships are all about. Presenting can be intimidating, but the fact that he is able to do this in front of senior managers is fantastic. Our administration apprentices are required to deliver presentations as part of their apprenticeship. You can’t get much better praise from a manager than that! This success mirrors past apprentices success at Brother, who offer young people fantastic apprenticeship experiences. One example being Gemma Crozier, who progressed onto completing her level 3 Management Diploma after previously completing a similar programme to Lewis. 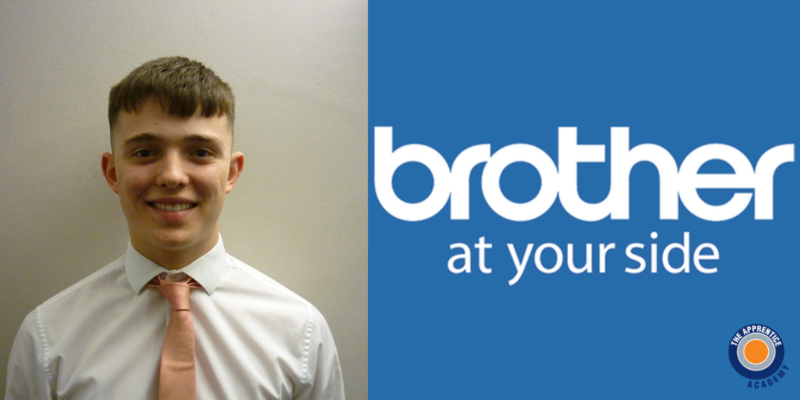 Overall, it is fantastic to see an apprentice settling in so well at a great company like Brother, it really shows the value of both hiring an apprentice from an employer perspective and becoming an apprentice from a learners perspective. Well done and best of luck in the future, Lewis! Learn about Brother UK here. Click here to hire an apprentice.